What is Refractive Surgery or LASIK? Keep in mind that LASIK is not the only refractive surgery option out there and that there are other alternatives that may be right for you. 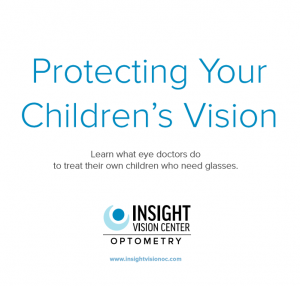 Talk to the Optometrists of Insight Vision Center Optometry if you want greater insight about which refractive surgery options are best for you. How can my Optometrist help me if I want LASIK surgery? Your optometrist is the first person you should talk to if you are interested in LASIK. There are many things to consider before having the surgery and to make sure that you are an ideal candidate for the surgery. Optometrist often collaborate and co-manage patients with the ophthalmologist, who will perform the surgery. In cases of LASIK management, we do the pre-op evaluations to get you ready before surgery and then do the post-op evaluations to make sure you are doing well afterwards. Optometrist can be helpful in this process because we know your ocular history for many years and can often make informed recommendations based on your lifestyle and goals. Keep in mind that LASIK is not the only refractive surgery option out there and that there are other alternatives that may be right for you. Talk to the Optometrists of Insight Vision Center if you want greater insight about which refractive surgery options are best for you. What are the advantages of Refractive Eye Surgery? Clear vision at distance or near, eliminating the need for glasses or contacts. Relatively painless procedure and quick recovery time. Vision is corrected nearly immediately and improves within days after the surgery. No stitches or bandages needed, very clean surgery. Are you a contact lens wearer? What are your motives for the surgery? What are your demands at work and at home? Hobbies? What age factors would affect the outcome of the surgery? Learn More About Refractive LASIK Surgery. Make an Appointment Today! Getting Refractive LASIK surgery is a decision best made in consultation with a trained eye doctor. Insight Vision Center Optometry provides LASIK consultations and pre and post-operative care for our laser patients. Call us today at (714) 486-3315 or visit us at our Costa Mesa office. We serve Costa Mesa CA, Irvine CA, Newport Beach CA, Santa Ana CA and Huntington Beach CA. You can also click here to schedule a consultation. I absolutely love insight vision! The staff are so kind and amazing. Also, the place is very modern and beautiful inside. Dr. Lam is one of my favorite eye doctors that I have had. She does not rush when checking the lenses for what is the most clear. I love that there is WiFi for the guest too…Alyssa Y.
Dr. Lam and staff are amazing. Every phone call or interaction is friendly. You can feel the smiles and joy over whatever mode of communication you are interacting with them.Dr. Lam is very knowledgeable and helps you to better understand everything that is going on with your eyes…Virgilio S.
The staff is friendly and informative. I booked my appointment with ease and appreciated the time they took to break down the cost of my exam and the benefits that my insurance offered. The space is modern and the frame selection is well curated. I am so happy to have found them through Yelp!Michelle Y.
I’m glad that I made the right choice by going to this establishment for my eye exam. Like many yelpers, I browsed yelp to find a new optometrist. Within 2 miles from my residence there are many other location with high ratings, but somehow I chose Insight Vision Center which I am happy I did…Cat F.
GREAT STAFF & DOCTORS!!!!! !It’s my fist time here at this optometrist office and it is a wonderful experience. This office is one of the nicest office that I ever visited. I had looked this doctor through yelp and google for a good doctor OC area. 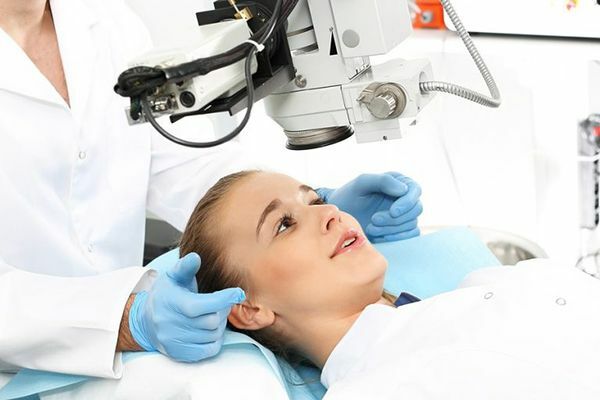 I made an appointment through their easy booking appointment website…Jacie C.
A comprehensive medical eye exam is conducted to detect refractive errors, eye diseases and vision impairments. It can take more than an hour to complete depending on the tests you have to take.